AILET 2018 (All India Law Entrance Test) is a law entrance exam conducted by National Law University Delhi (NLU Delhi) for admissions in Five Year Integrated B.A.LL.B (Hons. ), one-year LL.M and PhD programmes. AILET 2018 was conducted on 6 May 2018 from 3:00 PM to 4:30 PM and AILET Result 2018 for the same has been declared on 24 May 2018. AILET Answer Key is already released for BALLB and LLM programmes by National Law University, Delhi and the link is available on this page. The candidates can check AILET Result on this page now. Scroll down for complete information regarding AILET 2018 like eligibility criteria, application process, important dates, result, fee structure, exam pattern etc. 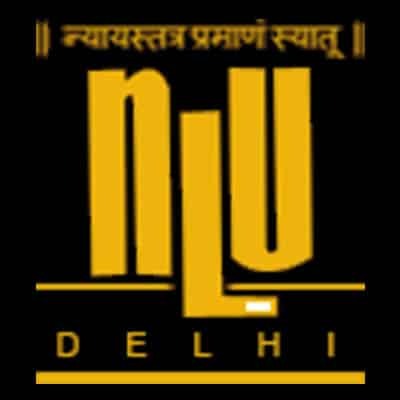 National Law University (NLU Delhi) is a well-known Law University of India that provides education for the different aspects of the Legal system. The University is established at Delhi since the year 2008. Latest Update: The notification regarding AILET Spot Counselling for BA LLB has released and is available towards the end of this page. The Spot counselling will be held on 20 June 2018. The list of the candidates is also available in the notification. AILET Result 2018 for BA LLB (Hons) Programme has been released today on 24 May 2018. The candidates can check AILET Result (Category/Roll No./Marks wise) on the link given below. Also, check AILET 2018 first merit list of the candidates. Candidates should note that 70 seats of B.A LL.B (Hons) on merit through All India Law Entrance Test (AILET) and 10 seats for direct admission to Foreign Nationals. The total number of seats in LL.M (one year) is 40 which is divided as 35+5 seats for Foreign Nationals. Foreign Nationals are exempted from AILET. The AILET Exam is for admission in NLU Delhi for Undergraduate, Postgraduate and PhD Course. The candidate has to clear the minimum eligibility criteria as laid down by the university. The eligibility for each of the course is given here and students should check the eligibility criteria in detail before filling the application form. The candidates must have passed Class 12 with minimum 50% marks from a recognised board. Age Criteria: The candidates applying for B.A LL.B (Hons) must be below 20 years as on 1 July 2018 (22 years in the case of SC/ST candidates). The SC/ST candidates must be 22 years old to seek admission in B.A LL.B (Hons). The candidates must have passed Class 12 with minimum 55% marks from a recognised board. The candidates who are appearing in the final examination of LL.B. in April/ May 2018 can also apply. The candidates must have passed LL.M degree with 55% marks or its equivalent. The SC/ ST/ PWD candidates must have passed with 50% marks. The candidates are required to fill the AILET 2018 Application Form only through online mode for the undergraduate course. The application form was available to be filled from 3 January 2018. The last date to submit the filled in application form was 14 April 2018. AILET 2018 Application Process has been closed for the current session. AILET Admit Card has been released by National Law University Delhi from 20 April 2018. Admit Card was available only for those eligible candidates who have submitted their duly filled application forms before the due date. Note: The AILET Admit Card will not be dispatched through the post to the candidates, so no correspondence in this regard will be considered. Admit Card is an important document to be carried at the exam centre. Candidates can get the details of the Application Fee and the fee structure of the National Law University for all the courses offered are given below. Candidates can find the fee structure for all the courses which are given separately. Below Poverty Line (BPL) BPL applicants of SC/ ST category are exempted from application fee. Candidates need to know that 50% of the deposits will go towards Student Welfare Fund and 50% towards Alumni-Fund on completion of the course. The candidate shall secure a minimum of 40% (30% for SC and ST candidates) of the total marks in the AILET 2018 to become eligible for the admission. The undergraduate law aspirants will be admitted to BA LLB programme in NLU Delhi on the basis of AILET 2018 Merit. On appearing in the Admission Test of NLU Delhi, the candidate will get an All India Rank (AIR) as per the performance in the law entrance exam. After the declaration of AILET 2018 Merit List. The result of AILET 2018 for BA LLB programme has been declared on 24 May 2018. Then merit will be determined on the basis of marks in Class 12 or its equivalent recognised by the University. If the merit still remains the same, then the marks of Class 10 will be taken into consideration. If there is still no change in marks, then the one higher in age will be considered. After the declaration of Result for all the programmes, NLU Delhi conducts an offline counselling for admitting the qualifying candidates. The date for the counselling is given here. Candidates also need to submit the fee for appearing in the counselling on the scheduled date and time. The AILET Exam Pattern for the BA LLB (Hons) and LLM are different. The candidates can go through the exam pattern for both the courses given below separately. While the BA LLB (Hons) holds completely objective type question, the LLM included Essay Writing along with objective questions. One Essay of 50 marks on a topic of law from the above subjects. AILET Previous Years Question Papers Booklet (2008-2015) can be collected by depositing cash of Rs.500 from the office of the National Law University, Delhi by Credit /Debit Cards or through post by sending a DD of Rs.550 in favour of “Registrar, National Law University, Delhi” payable at Delhi. AILET Exam 2018 is scheduled to be conducted on 6 May 2018. The candidates while filling up the application form would be given choice of selecting the test centres from which they can choose the centres as per their convenience. There are total 21 test centres in which the AILET Exam would be conducted.